Valletta defender Juan Cruz Gil is moving to Tarxien on loan until the end of the season. The winter transfer window reopened on New Year's Day. The timesofmalta.com sports section will keep you up-to-date with all the latest transfer gossip and movements throughout the whole month. So make sure you stay with us to follow all the latest developments. 9.35pm That's all folks! Thank you very much for following and we invite you to join us tomorrow. 9pm There were several new signings announced today by BOV Premier League side Senglea Athletic. A confirmation of the news that Times of Malta broke out are the acquisitions of Japanese midfielders Yudai Miyamoto of Japan, Serbian duo Nikola Mitic and Marko Batinica and Brazilian Diego Silva alongside Romulo Santos who plays as a forward. 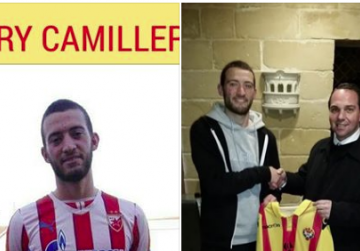 Meanwhile, the Cottonera also unveiled two Maltese defenders - Luke Scorfna and Gary Camilleri. Most recently, Scorfna was at Division One side Qrendi while Camilleri is on the books of Balzan. 8.30pm Times of Malta understands that Pietá Hotspurs midfielder Shunsuke Nakamura is set to leave the Maltese club after six months. Sources told this website that he is heading to Northern Europe, where he will have trials in Sweden and Finland. 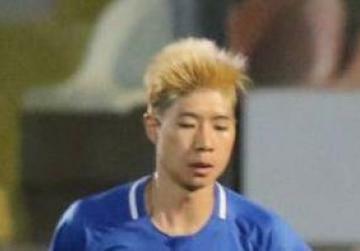 With the Hotspurs, the Japanese midfielder played 13 games scoring four goals two in the FA Trophy against Mdina Knights. Previously, he was also at Division One side Qrendi for whom he featured during the 2017/2018 season. 8.15pm Hibernian have completed the signing of Ryan Gauld from Sporting Lisbon on loan until the end of the season. 7.45pm Cesc Fabregas has signed a three-and-a-half year deal at Monaco after leaving Chelsea. It is a packed start to 2019 for the Rossoneri, who set off today by train for tomorrow’s Coppa Italia Round of 16 clash against Sampdoria at 17.00 GMT, then face Juventus in Jeddah for the Italian Supercup next Wednesday. “We’re not going on vacation to Genoa, we are taking part in a competition that we really care about,” assured Gattuso on Sky Sport Italia and Milan TV. 6.30pm Udinese defender Giuseppe Pezzella has officially joined Genoa on loan with €7m option to buy. The deal was finalised this evening and he already passed his medical. According to Sportitalia, the deal is finalised and he has signed the paperwork. 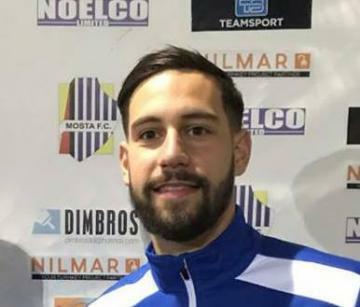 Gianluca Cuomo is Mosta's latest signing. 6pm BOV Premier League side Mosta announced the signing of American midfielder Gianluca Cuomo. The 25 year old joins the Blues until the end of the season after several experiences in the United States. Previously, he was on the books San Antonio FC of the USL alongside Warners Royals, Lancers FC and CSU Vikings. He is their second signing this winter after bringing in Duane Bonnici from rivals Naxxar Lions as well. ??? ?️ #Muriel :"In questo gruppo mi sento già a casa"
??? ?️ #Pioli:"A Malta abbiamo lavorato bene. Ora pensiamo alla sfida con il Toro"
5.15pm Luis Muriel confirms ‘I’d already given my word’ to Fiorentina before Milan but admits Juan Cuadrado ‘played a key role’ in his move to the Viola. Muriel was seemingly on his way to Milan until it emerged he had agreed terms with Fiorentina, while fellow Colombian Cuadrado scored 26 goals in 106 appearances for Fiorentina before joining Chelsea in January 2015 and ultimately Juventus. “Yes, Milan had also been after me but I’d already given my word and I didn’t retrace my steps,” said the striker at his official unveiling on Friday. 4.45pm Flamengo have officially signed Inter striker Gabriel Barbosa on loan for the rest of the calendar year. Gabigol had already tweeted confirmation of his move earlier in the week, but Flamengo have now formalised it themselves. A statement on the club’s official website reads they have loaned the Inter attacker until the end of the 2019 Brazilian season, which finishes in December. 4.30pm Gianluca Di Marzio claims Lazio did reject a significant bid from Real Madrid for midfielder Sergej Milinkovic-Savic last summer. Lazio chief Claudio Lotito drew ridicule earlier in the week for his boast that he turned down an offer of €160m for Milinkovic-Savic. However, Di Marzio told Sky Sport Italia on Thursday evening that the President did knock back a ‘huge’ proposal from Madrid. 4.10pm Roy Hodgson has denied Jermain Defoe turned down a move to Crystal Palace in order to join Rangers on loan from Bournemouth. He said: “That’s not true. We had no interest. I saw his name mentioned in relation to the club. But it’s one thing people relating their players to our club, and another thing our club initiating moves to sign a player." 3.50pm Bundesliga leaders Borussia Dortmund are set to sign Argentine defender Leonardo Balerdi in the current transfer window after reportedly agreeing a fee of 16 million euros ($18.45m). Germany’s top-selling daily Bild reports that Dortmund’s chief scout and a lawyer are in Argentina to finalise details with the 19-year-old Boca Juniors defender, who will be offered a contract until June 2023. The clubs have agreed a transfer fee and the centre-back is expected to arrive in Dortmund at the end of next week for a medical. 3.35pm Bayern Munich have made four bids, including a £35m offer, for Chelsea winger Callum Hudson-Odoi. However, Maurizio Sarri says the German champions have lacked respect over their approach for the 18-year-old. He said: “I think that it’s not professional because they are talking about a player under contract at Chelsea. “They didn’t respect our club, I think. I don’t know what to say, I do not know the situation. I am very, very happy with the player because the player is improving." 3.20pm Manolo Gabbiadini has completed his move from Southampton to Sampdoria, the Premier League club have announced. 3pm Napoli have reportedly prioritised Hirving Lozano over Christian Kouame and will target Nicolo Barella if Allan leaves for Paris Saint-Germain. Accordiing to Gianluca Di Marzio, PSG value Allan at €40-50m, which is ‘too little’ for Napoli for consider as they are holding out for ‘at least €80m’. The transfer expert is also certain that the Partenopei will pursue Barella if the Brazilian departs, with the Cagliari midfielder described as a ‘natural substitute’. Elsewhere, they would have put negotiations with Genoa for Kouame on standby as a meeting is scheduled with Lozano’s agent Mino Raiola on January 20. 2.40pm Lucas Paqueta and Ivan Strinic are in the Milan squad for Saturday’s Coppa Italia last-16 tie with Sampdoria, but Suso misses out. Paqueta is in line to make his Milan debut after completing his switch from Flamengo, while Strinic has been given the all-clear to resume his career following his recovery from a heart problem. 2.20pm Barcelona have renewed their efforts to sign Chelsea forward Willian in a deal which would see Malcom move to Stamford Bridge. However, Maurizio Sarri insists he knows nothing of the proposed deal. He said: “I didn’t receive anything yesterday. I don’t know you have to ask to the club. I have no ideas you have to contact the club and ask about the market because if you ask me about the market you put me in trouble because I don’t know how to answer." Asked if he was a player he did not want to lose, Sarri said: “Of course not. As you know, Willian for us is very important." "We don't send any player away but if he feels like he is not used like wants from us, he should think about it." 2pm Ralph Hasenhuttl says Wesley Hoedt is free to find a club after not featuring under the Southampton manager. Hoedt signed from Lazio in August 2017 but has not been involved yet under Hasenhuttl and the Saints boss admitted the 24-year-old centre-back, who has six caps for the Netherlands, could be sold if the club can find a suitable buyer. "Nearly every player [has] played a game until now but he didn't. It's difficult," he said. 1.45pm Roma are reportedly ready to lock down starlet Nicolo Zaniolo, who has attracted interest from Real Madrid. Roma sporting director Monchi confirmed on Thursday that renewing Zaniolo’s contract was a priority, and Spanish daily Sport claims it is because his performances have ‘alerted the attentions’ of Madrid. Los Blancos have gone from signing ‘Galacticos’ to the world’s best young talent in recent years, as seen by the likes of Marco Asensio, Vinicius Jr and Rodrygo moving to the Santiago Bernabeu. The 19-year-old debuted for the Giallorossi against Los Blancos in the Champions League and has since broken through, scoring his first goal - a lob that drew comparisons with Francesco Totti - on Boxing Day. 1.30pm Sampdoria have announced that they will sign Heerenveen and Norway midfielder Morten Thorsby this summer. The deal was confirmed in a statement on Samp’s official website, with Thorsby signing a four-year contract that will take effect at the end of the season. The 22-year-old will also arrive on a free transfer, given his link with Heerenveen expires on June 30. Thorsby has scored five goals and assisted three times this season for the Dutch side, who are 10th in the Eredivisie, and has one cap for his native Norway. 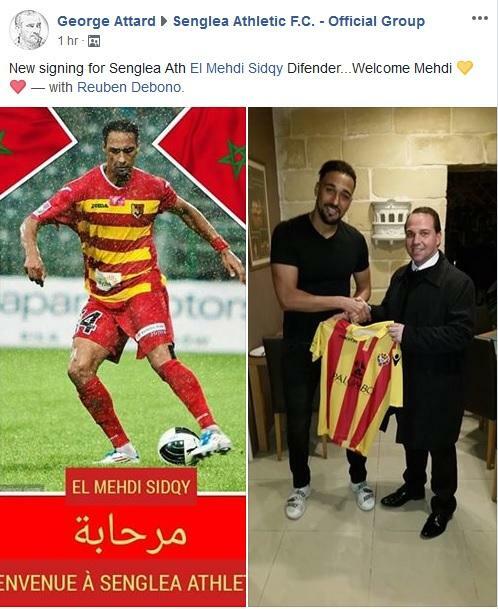 1.15pm Senglea Athletic have unveiled their latest signing, Moroccan defender El Mehdi Sidqy. The 35-year-old joins the Premier League strugglers until the end of the season. During his career, Sidqy has played in several Polish clubs namely Jagiellona Bialystok, Gornik Leczna and Piast Gliwice. 1pm Milan and Watford are reportedly battling it out to sign €20m-rated Olympique Lyonnais attacker Maxwel Cornet. According to L’Equipe, Milan are interested in Cornet and have ‘already met his camp several times’. However, the newspaper warns they face competition from Watford, who have opened talks with not only his representatives but also Lyon officials. The 22-yard-old is capable of playing as a centre-forward or on the wide right and has two goals in eight caps for Ivory Coast. 12.45pm Neill Warnock has confirmed Cardiff are unable to strike a deal for Nice midfielder Adrien Tameze and has played down speculation linking the club to Marseille winger Clinton N'Jie. Tiameze: "We looked at him but at the moment that's not a goer." N'Jie: "He's probably one of the players we looked at. I'm not too worried about wide players, it's the least of our worries really." 12.20pm Inter supremos Steven Zhang and Beppe Marotta say the fans can rest assured that Mauro Icardi will sign a new contract. The stand-off between Icardi’s agent-wife and Inter appeared to be getting out of hand, amidst reports the striker would not renew his contractand Wanda Nara affirming the two parties were ‘very far apart’. That was followed by the striker making it clear his loyalties lay with Nara, but Zhang and Marotta insist there is no reason for supporters to worry about losing their captain. “Everything’s good [with Icardi] at the moment. It’s normal for newspapers to talk during this period of negotiations. “Icardi is our captain and we’ll talk about his contract, but there aren’t any problems between us and we won’t be influenced by what the newspapers say," he said. 12pm Napoli owner Aurelio De Laurentiis has confirmed Marko Rog could join Sevilla but suggested that he will only let the midfielder leave permanently. Sevilla emerged as Rog’s favoured destination over Schalke on Thursday, and De Laurentiis claimed the Croatian would be allowed to join the Spanish high-fliers, providing Napoli Coach Carlo Ancelotti gave the green light. “I’m not used to buying players and then loaning them out,” he told ABC de Sevilla. “It’s not in my philosophy and we don’t want to do that. Rog to Sevilla? It’s possible, but they’re not the only club who want the Croatian. 11.40pm Eddie Howe insists Callum Wilson is not for sale "at any price" as the Bournemouth striker continues to be linked to Chelsea. “I’ve been told about the speculation, it’s not something I seek to read," he said. "It’s a waste of time for me to do so. It’s business as normal, Callum has been bright and bubbly this week so no problems there. "In my opinion, and it’s just my opinion, I wouldn’t sell at any price but I’m the manager of the team trying to create the best team that I can. 11.25pm Manolo Gabbiadini is undergoing a medical with Sampdoria ahead of completing his move back from Southampton. ANSA and Gianluca Di Marzio’s website report Gabbiadini checked into a medical laboratory in Genoa on Friday morning. The striker is then headed for Samp’s offices, where he will sign a four-and-a-half-year contract. 11.15am Everton are interested in Chelsea’s Michy Batshuayi - but only if they can have him on a permanent deal, according to SkySports is reporting. The Belgium striker is set to return from his loan spell at Valencia this month after struggling to make an impact and the Toffees are keen if they can unload one of either Cenk Tosun or Oumar Niasse this month. 11.05am We start off the day with some news from Maltese football as champions Valletta are set to let defender Juan Cruz Gil continue the season at Tarxien Rainbows. The Argentine defender has rarely featured for the Citizens this season and grew increasingly frustrated at the lack of first-team football. Tarxien have moved in to bring in the experienced defender and an agreement was reached on Thursday evening for the 35-year-old to join the Rainbows on loan until the end of the season. 11am Good morning everyone and welcome to our transfer blog. Stay with us to follow all the latest news throughout the day. 8.45pm That's it for today! Thank you for joining us and we invite you to follow us tomorrow as well. 8.15pm Schalke have reportedly agreed a loan deal for Marko Rog, but it is said the Napoli midfielder would prefer to join Sevilla. Sky Sport Italia claims Rog has accepted Schalke’s offer of a six-month loan, which does not include an option to buy as Napoli ‘believe in his potential’. However, CalcioNapoli24 argues the Croat would rather move to Sevilla, who are third in La Liga and have a ‘better chance’ of winning trophies than the German side this season. 7.45pm Hector Herrera’s agent has rubbished reports that he is in talks with Inter, Roma and Milan, while opening the door to a new contract with Porto. It was said on Wednesday that Gabriel Moraes was flying to Italy for meetings with Inter and Roma and that Milan were ‘keeping tabs’ on Herrera’s situation, given the midfielder’s contract expires this summer. However, the representative told A Bola: “Herrera hasn’t ruled out staying with Porto. 7.30pm Jose Mourinho has told Correia de Manha his next management role will not be at Benfica or in Portugal. 7pm Serie A side Fiorentina have concluded their training camp on our shores as they returned to Florence this evening. The Viola posted a message on their social media profiles to thank Air Malta for chartering them while thanking the Maltese islands for hosting them during the past days. James Tarkowski to @LFC? ➡???? @BurnleyOfficial manager Sean Dyche says he's unaware of any interest...???? 6.45pm Sean Dyche is baffled by "phantom" rumours of Burnley defender James Tarkowski potentially leaving for Liverpool. “There are a lot of rumours out there, and not much fact. The most amazing one is the Tarky one. That is just bizarre. 6.35pm Manolo Gabbiadini’s agent claims the forward has gone ‘back home’ to Sampdoria and that Southampton have lost ‘one of the best strikers in Italy’. Samp have agreed to re-sign Gabbiadini on loan with a €12m obligation to buy from Southampton, and Silvio Pagliari is confident the former Napoli attacker will rediscover his scoring touch at Marassi. “He felt good at Sampdoria and wanted to go back home,” he told Sky Sport Italia from Milan Linate airport, where he was waiting for the 27-year-old. “We wouldn’t have gone anywhere on loan. It was his will to cut the cord with Southampton, although he had a great time there. “He also discussed tactics with Sampdoria and I’m sure he’ll carve out a place in the team." Chelsea won’t activate the clause in Thorgan Hazard’s contract to match bids [Bild]. Dortmund want him for £38m. We could match it, bring in arguably the Bundlesliga’s best player this season and keep Eden happy. 6.20pm Borussia Dortmund are reportedly looking to invest the £58m made from selling Christian Pulisic to Chelsea on both Thorgan Hazard and Boca Juniors defender Leonardo Balerdi. Hazard, younger brother of Chelsea's Eden, is apparently on Dortmund's radar with German media widely reporting that the 25-year-old has so far rejected an extension to his current Borussia Moenchengladbach contract, which expires in 2020. 6pm Some news from Maltese football as midfielder Gianmarco Conti is closing in on a return to Gżira United, the Times of Malta understands. Asked by this website, Conti did not rebuffed the rumours about a potential move to the Maroons. "The rumours are true and we are in the final stages of the deal," Conti said. The 26-year-old was already with Gżira during the 2016/2017 season, where he played 30 games in the top-flight scoring three times in the process. The Milan product played with various clubs in his native Italy including Pordenone, Monza and Pergolettese. 5.15pm Udinese have officially signed Watford left-back Marvin Zeegelaar on loan for the rest of the season. The deal was confirmed in a statement on Udinese’s website, although there is no mention of an option to buy. Zeegelaar joined Watford in the summer of 2017 from Sporting CP and assisted two goals in 13 appearances last season. However, the 28-year-old did not see any first-team action in the first half of the season and thus follows Stefano Okaka to the Friuli. 4.50pm Tottenham are keen on Hoffenheim midfielder Florian Grillitsch, according to Sky Sports News. Spurs scouts have been watching him play at club and international level this season. The Austria international is also thought to have a release clause in his contract, which has more than two-and-a-half years left to run, of just over £18m. 4.30pm Tottenham are keen on Hoffenheim midfielder Florian Grillitsch, according to Sky sources. It is understood Spurs scouts have been watching him play at club and international level this season. The Austria international is also thought to have a release clause in his contract, which has more than two-and-a-half years left to run, of just over £18m. Grillitsch’s name is thought to be on a list of potential successors to Mousa Dembele, who appears close to a move to the Chinese Super League following an acceptable offer lodged by Beijing Sinobo Guoan earlier this week. 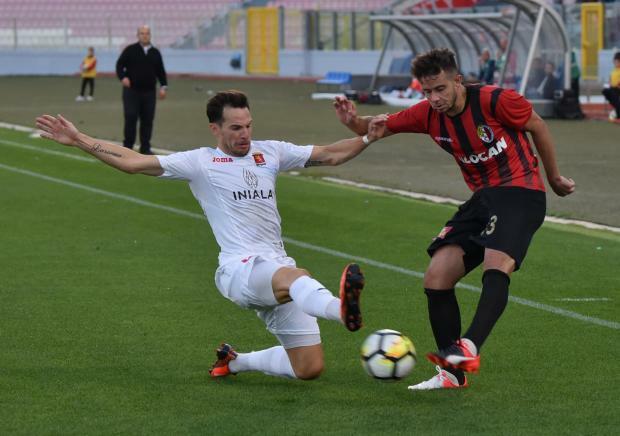 4pm Birkirkara have announced that they have terminated the contracts of two foreigners who joined the club during the first part of the season - forwards Petar Orlandic and Milan Basrak. The 24-year-old Basrak moved to Malta from Napredak Krusevac of Serbia but failed to make any impact in Maltese football as he only played five games, with his last appearance coming in October against St Andrews. Meanwhile, forward Orlandic joined the Stripes' ranks as a free agent in October and played six games in all competitions and scored three goals in the preocess. “We cannot sign permanently. We can only loan players. Only loan players. I can say to you that the club is working." 3.45pm Unai Emery has been discussing transfers ahead of their pre-match press conference against West Ham and says Arsenal can only make loan signings in the January window. 3.30pm A confirmation of the news that the Times of Malta broke out yesterday, as Marco Sahanek landed in Malta few minutes ago ahead of his loan move to Hibernians from Admira Wacker of Austria. 3.15pm Monchi says Roma will never go back in for Malcom, Genoa value Krzystof Piatek at €70m and that Daniele Rugani and Hector Herrera are ‘impossible’ to sign. Malcom infamously turned his back on Roma to join Barcelona last summer, while Piatek, Rugani and Herrera have all been linked with the Giallorossi this season. “Piatek? It would be possible if they didn’t ask for €70m,” continued their sporting director to Gazzetta dello Sport. Michy Batshuayi’s loan deal at Valencia will be cut short and the striker will return to Chelsea, Valencia sporting director Mateu Alemany has confirmed. 3pm Michy Batshuayi’s loan deal at Valencia will be cut short and the striker will return to Chelsea, Valencia sporting director Mateu Alemany has confirmed. Alemany says negotiations are ongoing and him leaving the club is only a matter of time. Batshuayi has scored just three goals in 23 appearances for Valencia in all competitions this season. 2.45pm Inter captain Mauro Icardi has asserted that his agent-wife Wanda Nara will take care of his interests until the end of his career. Gazzetta dello Sport reported on Thursday that Inter would ask Icardi to change agents, amidst Nara’s stand-off with the club over a new contract for her husband. However, he tweeted: “Where do these phrases come from? How is it possible that La Gazzetta writes this rubbish? “Furthermore, I’d like to point out that I am very, very happy and satisfied with the work we’ve done so far. 2.30pm Callum Hudson-Odoi will not find a bigger club to play for than Chelsea, according to team-mate Marcos Alonso. "He is a good player, but he is very young," Alonso said. "He needs to have patience and to be hungry and fight for a place in this team. "That is all he needs to do, he has all the conditions to be a great player, now it is up to him to fight for a place here or try to find more minutes somewhere else. "Bayern Munich? We are Chelsea, another great team, the Premier League is the most competitive league in the world, I don't know why someone would go to Bayern Munich." Aaron Ramsey definitely off to Juventus. Shame it ends this way. Thank your these 10 years, Rambo. ???? 2.15pm Arsenal midfielder Aaron Ramsey will reportedly undergo his Juventus medical on Sunday. Sky Sports in the UK also agrees with its Italian sister that Ramsey will complete his Bosman transfer to Juve after the Supercoppa on January 16. The 28-year-old was able to negotiate a pre-contractual agreement with the Bianconeri after he failed to agree a new deal to stay at Arsenal. The Welshman is expected to sign a five-year contract with the Old Lady, worth an estimated €40m, before moving to Turin in July. 2pm Allan’s agent will reportedly meet Napoli on Thursday as speculation linking him with Paris Saint-Germain intensifies. According to Gianluca Di Marzio’s website, Eduardo Uram will hold talks with Napoli sporting director Cristiano Giuntoli and coach Carlo Ancelotti at their training complex. The Sky Sport Italia journalist said that the Partenopei pair will use the meeting to not only learn the midfielder’s intentions but also reiterate how important he is to the club. 1.45pm Racing Genk’s technical director has denied holding talks with Roma over selling them midfielder Ruslan Malinovskyi. Sky Sport Italia reported on Tuesday that Roma had set their sights on the €12m-rated Malinovskyi, going as far as stating the Giallorossi had already approached Genk. However, Dimitri de Conde told Tele Radio Stereo: “Ruslan won’t leave in January. 1.30pm Milan reportedly still have the possibility of swapping Gonzalo Higuain for Chelsea striker Alvaro Morata as the Argentine’s agent is in London. The Evening Standard maintains Higuain ‘wants to cut his season-long loan from Juventus short and move to Chelsea’. Consequently, the newspaper claims his agent-brother Nicolas is in London, presumably to ‘sound out’ the Blues’ interest. However, Maurizio Sarri’s side remain ‘unwilling’ to spend €36m at the end of the season on a player they deem to be ‘ageing’ at 31. As a result, they could offer Morata as a direct replacement for Higuain, the publication adding the Rossoneri were ‘the first club to register an interest, before Christmas’. 1.15pm Manchester United goalkeeper Joel Pereira is set to join Reading on loan, according to the Daily Mail. The 22-year-old has been recalled by United after spending the first half of the season at Vitoria Setubal where he made nine appearances. 1pm More news on Tarxien Rainbows. The Blues are looking to strengthen their defence and they are currently in advanced talks to sign French defender Prince Mambouana. The towering French defender started the season with Gżira United but the Maroons decided to part ways with the player who is currently looking for a new club. The Rainbows approached the player over a deal and at present negotiations have reached an advanced stage but so far no agreement has been reached. Mambouana is understood that he is also mulling an offer from a club from the Philippines but the Rainbows are optimistic they can convince Mambouana to continue his season with them. 12.45pm Cagliari have thanked ‘driving force and warrior’ Daniele Dessena after the club captain completed his move to Brescia. Massimo Cellino’s club have reportedly paid €600,000 for Dessena and tied him to a one-and-a-half-year deal, which includes the option of a third season. “Soul and heart, passion and determination, total dedication to the cause: Dessena closes a fantastic adventure with Cagliari, which saw him play a leading role for nine seasons,” Cagliari wrote on their official website. 12.25pm Tarxien Rainbows are in advanced talks to sign Brazilian defensive midfielder Jorginho. Sources have told timesofmalta.com that the Brazilian has almost agreed personal terms with the Rainbows and could be set for a return to Maltese football after a two-year absence. Jorginho has already played in the Maltese Premier League as in 2016-17 he was on the books of Ħamrun Spartans. After leaving the Spartans, Jorginho headed to Finland where he played for PS Kemi in the Nordic country top flight. This season he failed to help the side avoid relegation an at the end of the season he successfully took his release from the Finnish club and is on his way to return to Malta with Tarxien. 12.15pm Sampdoria have agreed a deal with Southampton to sign Manolo Gabbiadini, according to SkySports Italia. It is understood to be an initial loan deal until the end of the season with an obligation for the Serie A side to buy Gabbiadini for £10.75m this summer. Sampdoria will pay a further £450,000 if Gabbiadini reaches an agreed goals target this season and an additional £225,000 if they qualify for Europe. 12.05pm Chelsea boss Maurizio Sarri is willing to pay up to £50m for Bournemouth striker Callum Wilson, if he is unable to bring Gonzalo Higuain to Stamford Bridge. Sky Sports News is reporting that Sarri remains determined to sign Higuain, despite concerns from the club's board. According to Sky Italia, Chelsea's chief-executive Marina Granovskaia remains unconvinced that Higuain is the answer to Chelsea's striker problems. 12pm Good afternoon everyone and welcome to another day of transfer activity. Stay with us to follow all the latest deals from the Maltese Premier League and other European leagues. 11.00pm That's all for today folks! Thank you for joining us, we invite to follow us tomorrow as well. The 24-year-old moved from Roma to Stamford Bridge for €20m a year ago, but has struggled for playing time.